Six months later (after his youth service) he called me to his house and called off the relationship. I didn’t see it coming because that day was my birthday and I thought he wanted to surprise me (probably with a proposal or an awesome gift). His reason for ending our relationship was as a result of the seminar he attended on genotype and how it affected him; that they were educated on the danger associated with an AS marrying an AS. I was shocked because we already had this discussion before and we agreed to still get married but abort the foetus if it was SS. He said his heart won’t allow him go on with our previous agreement. As childish as I was then, I prayed to God to change my genotype to AA so we could get married, of course that didn’t happen and I moved on. Do you want to end the relationship? Abortion or permanent birth control procedure. Today I am married to an AA genotype, though I asked him about his genotype before saying YES to going on a date with him because I didn’t want to experience the same thing the second time. 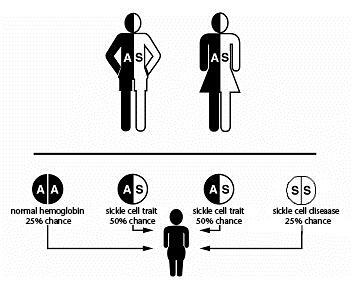 No matter how strong your love is, seeing your child or children in pain because they are SS genotype can put so much pressure on your relationship and you might want to give it a second thought before going that lane. It might actually be stress-free futuristically, to start life afresh with a new partner.